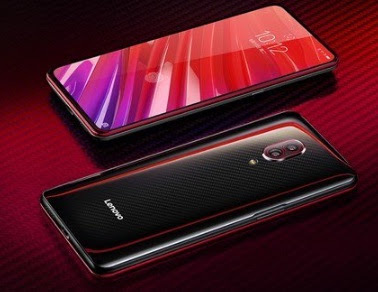 Lenovo is going to release Lenovo Z5 Pro GT smartphone with high-end features in an affordable price. Yes, the mobile phone will come with Qualcomm's Snapdragon 855 processor and paired with 12GB of RAM etc. This is the world's first smartphone to release with SD855. As per the latest update, Lenovo has begun for Lenovo Z5 Pro GT pre-sale in China. We can expect this cell phone in other countries as well very soon. As per the specifications of the phone, it must be 5G compatible device. Lenovo Z5 Pro GT price is expected $390. Lenovo Z5 Pro GT first sale would be on January 29, 2018. The phone is expected to come with slider design with very less or no bezel at all. The brand has earlier released couple of mid-range smartphone like Lenovo Z5 and on that has gone well. If you are looking for Lenovo Z5 Pro GT phone's key features, technical specifications, price, first impression, review, unboxing, comparison and hands-on etc. then you could find some of them over here very soon. So, stay tuned.